A quilt retreat in Ventura morphed into a lovely little trip featuring museums, cousins and hiking. Ann and I flew out to LA to spend a few days together. 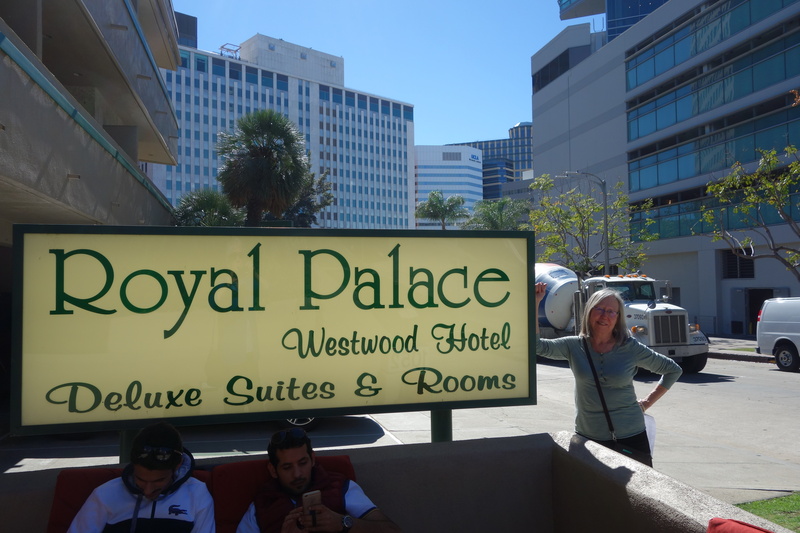 We stayed at the Royal Westwood, nicely situated near the Getty Center and west of Hollywood. The hotel has a swell website but is a modest little place in real life. 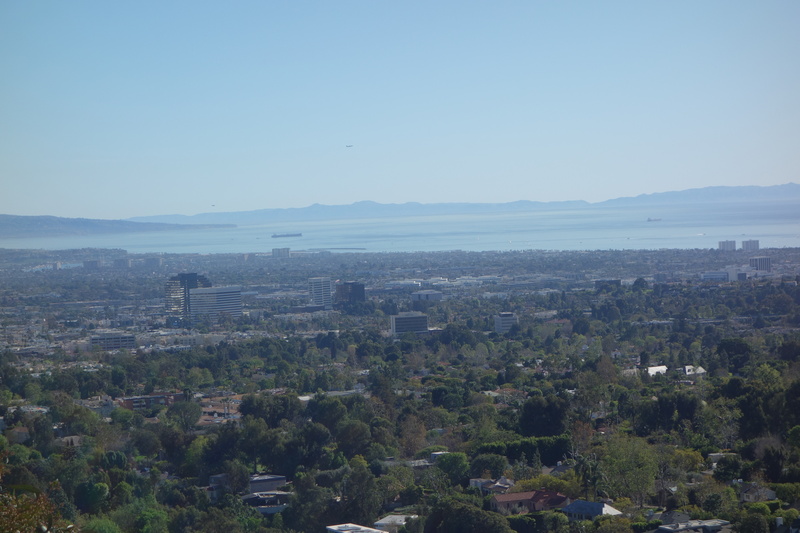 We dropped our bags, had a pleasant lunch around the corner, and took the bus to the Getty. 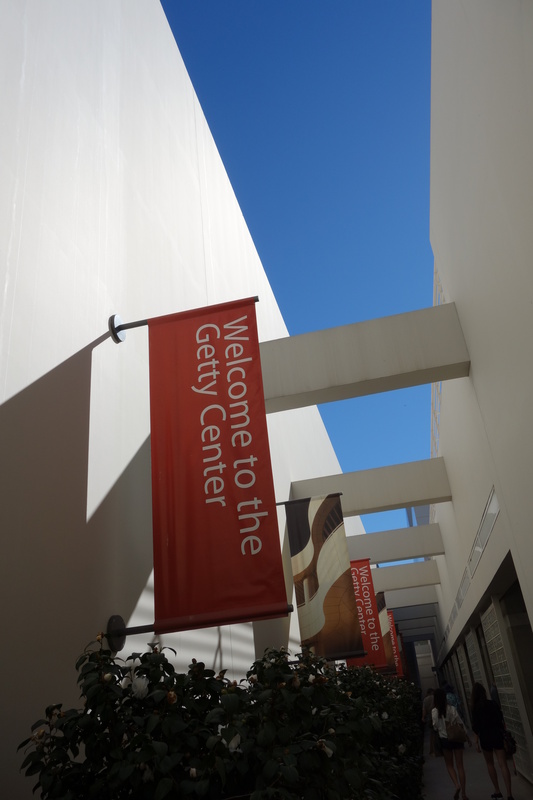 Mr. Getty may have been an unpleasant character, but he certainly did a generous thing when he endowed the Getty Center. 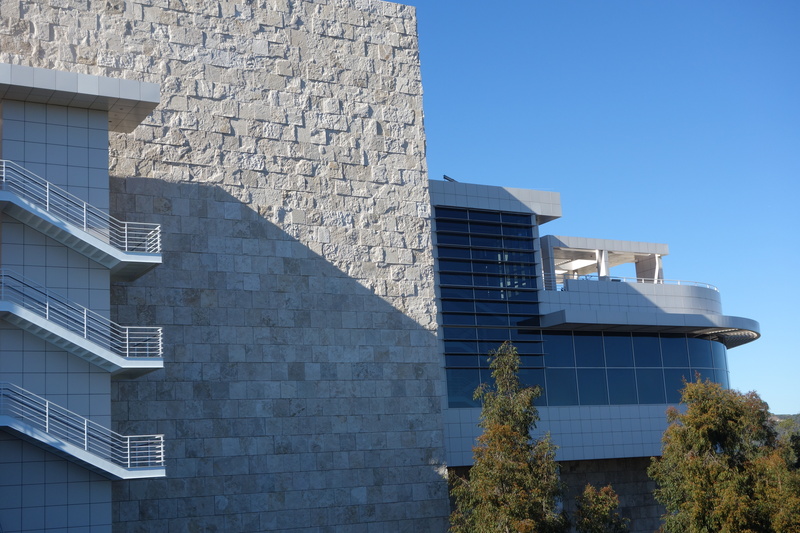 It’s built on a hill overlooking the city and features strong, clean architecture by Richard Meier and plenty of white travertine that stands out against the blue, blue sky. Up the hill via funicular and you find yourself in a wide plaza with several buildings. 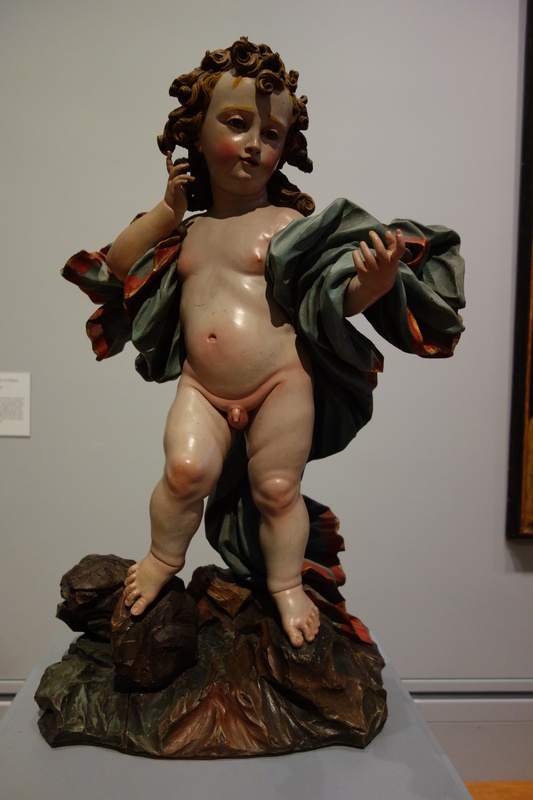 We started with European art from the 8th and 19th centuries and saw several delightful things. First was this little cherub Such a sweet thing. 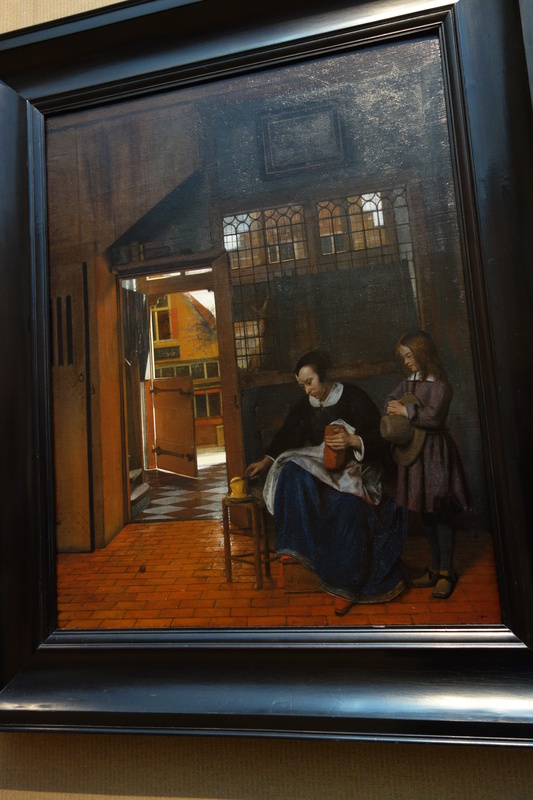 We also saw some Dutch art, including this de Hooch for Alison. The art was lovely, but we gave it short shrift in favor of the gardens and views. 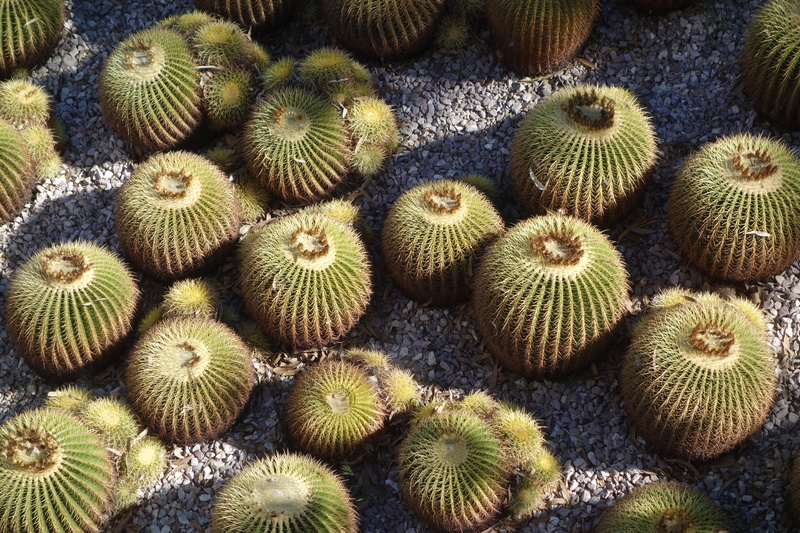 We walked out onto a terrace that featured cactus gardens and great views of LA and the ocean. Just look for a minute. Above is a glimpse of the travertine, the geometry, the shadows and the blue sky. The geometry was softened by this lovely flowering vine (in February, mind you). More about the gardens to come.